The investment focus on Eurobonds issued by the BRICS group of countries will help withdraw excess foreign exchange liquidity from the domestic market, prevent inflation acceleration and avoid pressure on national financial instruments. Russia’s Finance Ministry will specify the investment focus of the country’s national wealth funds to allow them to invest in Eurobonds issued by the BRICS countries, Deputy Finance Minister Sergey Storchak said on Monday. “We may change the investment declaration by the end of the year. To be more exact, we may specify rather than change it. Or, it is better to speak about adapting it to the current conditions,” he said. The Russian Finance Ministry has long been looking for an alternative to AAA-rated securities that currently yield low returns, the deputy finance minister said. “The public opinion is currently against holding reserves in the securities of our traditional issuers,” Storchak said. 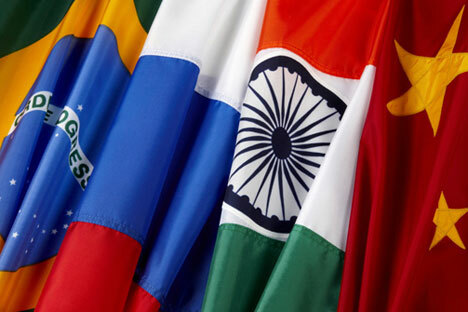 The Russian reserve funds’ possible investment in the Eurobonds of the BRICS (Brazil, Russia, India, China and South Arica) group of countries is a method of responding to the current changes in external political and economic developments, the deputy finance minister said, apparently referring to the sectoral sanctions imposed by western countries against Russia over its stance on events in neighbouring Ukraine. The investment focus on Eurobonds issued by the BRICS group of countries will help withdraw excess foreign exchange liquidity from the domestic market, prevent inflation acceleration and avoid pressure on national financial instruments, the deputy finance minister said. At the same time, Russia should preserve what it has earned on foreign export markets in the form of reserves and ensure their higher yields, Storchak said. The current rules allow Russia’s National Welfare Fund to invest in the debt securities of foreign states (the maximum share of these securities may amount to 100 percent), foreign government agencies and central banks (30 percent) and international financial institutions (15 percent). The financial resources of Russia’s National Welfare Fund may also be invested in the shares and bonds of Russian companies implementing large-scale investment projects (up to 60 percent, taking into account the projects of the Russian civil nuclear corporation Rosatom and the Russian Direct Investment Fund). They may also be placed on deposits and as balances of banks’ accounts with the Central Bank of Russia (up to 100 percent) and invested in investment units of unit investment funds (up to 50 percent). The financial resources of Russia’s Reserve Fund may be placed in the debt obligations of foreign states (from 50 to 100 percent), foreign government agencies and central banks (up to 30 percent), international financial institutions (up to 15 percent), and also on deposits at foreign banks and credit institutions (up to 30 percent). As of September 1, Russia’s National Welfare Fund totalled 3.15 trillion roubles (around $83 billion) and the country’s Reserve Fund amounted to 3.39 trillion roubles ($89 billion).